At the risk of being overly-metaphorical and seeing symbols where none exist, I’d like to show you my aforementioned driveway. During my job search, I’d occasionally go out with a shovel and an ice pick and work on it a little. There were a few days, like today, where the weather warmed up and made a bigger difference than anything I was able to do with my puny ice pick. During my job search, I came upon an early-stage startup called The Table Project that really excited me. I found myself wishing it already existed so I could use it immediately. I interviewed with them, they felt like a fantastic fit, they offered me the Lead Web Developer position, and that’s what I’m starting this Wednesday, February 11th. I cannot believe how blessed I am to be spending my days at the intersection of the Church and social networking. I’ve always loved writing code, but who’s ever heard of sanctified code? God never forgot me in the midst of the deep darkness of the last few weeks. In fact, I think this job is why I lost my last job. Does that mean it’s a guaranteed success? No. That just means it’s what I’m supposed to be doing right now. It’s more than I deserve, and I am so thankful. Previous Post Your Favorite Funny Movies? Hey, Nice drive way dude. Woot, woot. Congrats on the job, Josh. It’s very encouraging to see people actually getting jobs in this economy. Then again, I didn’t think you’d be out of work for long, even in this economy. @Davinder: After posting the link to the PDF, I thought better of it and removed it, just to be on the safe side. So what exactly is the table project? I am guessing you can’t give specifics but any chance you can give the big picture? I imagine The Table Project is the third hit on Google. I won’t post the link here though. 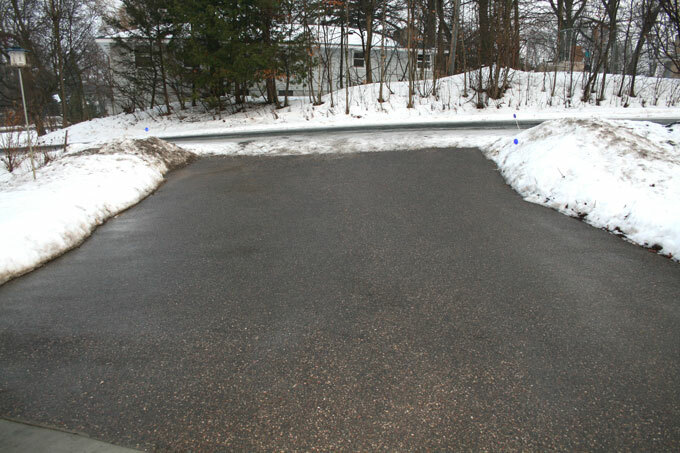 The driveway… I went out last night with a shovel and ice scraper. Couldn’t touch it with the shovel but the scraper had no issues. It is only 4 inches wide though and I sure wasn’t going to clear the whole thing that way. I came out this morning and the warm overnight temps coupled with the rain and wind all but cleared it for me. I just had to come back here and point out that due to the thaw, we can see green grass today for the first time since snow covered the ground last year. That’s pretty crazy, all things considered. I bet there is a lot of water on top of the ice up around those parts. If you have any streams feeding it, the ice might be eroded away too.